What is this? It seems like a Range Rover Sport on steroids! Well, basically it is. However, there is far more to the Bowler Nemesis than its lowly Range Rover DNA. Allow me to clarify. This blend created a competent offroad apparatus that had the high suspension travel features of the Defender mixed in with the technologically innovative underpinnings of its own Range Rover brother. 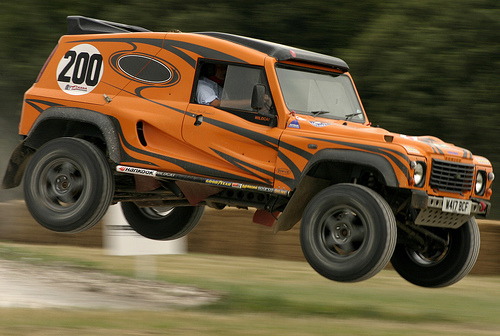 Originally made for private use, it wasn't long before orders were coming in for similar, rollcage equipped, raceprepped cars to compete in the growing sequence of offroad motorsports across the UK. As demand improved, its conversion was developed by Bowler to be sold in kit form branded Tomcat. Clients with a conventional pre1994 Range Rover could then buy the kit which would include everything required to transform it into a contest-spec racer. So it is a kit car? Hold on tight, I haven't got to that yet. 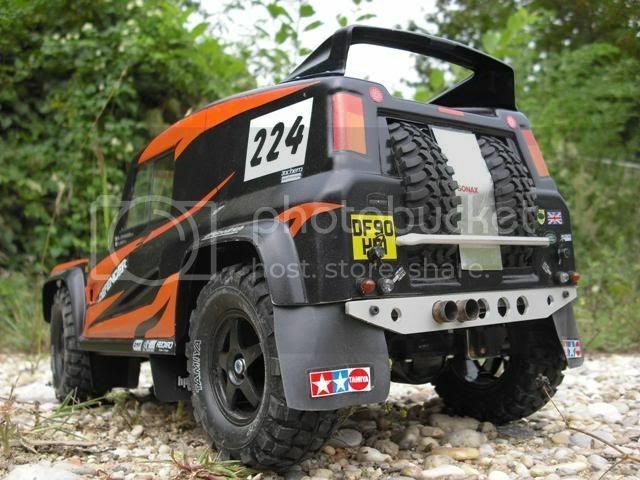 Following the success of the kit car Tomcat, Bowler turned its focus back to readybuilt turnkey racers. But instead of a stereotypical mudslinger, the Wildcat was destined for drier terrain...the desert. The brutish Range Rover Sportbased Nemesis is really a direct descendent of the desert storming Wildcat, and is the automobile in which Bowler is expecting to reach a closet-full of silverware in 2008's transcontinental race. History lesson over, how can this drive?